Cashew is the fruit of the cashew tree, which is native to Northeast Brazil. Although it was “discovered” by the Portuguese in 1538, it had been domesticated long before their arrival in the country. The latter exported it from Brazil to their colonies in India (Goa) and Africa (Angola, Mozambique) shortly after. 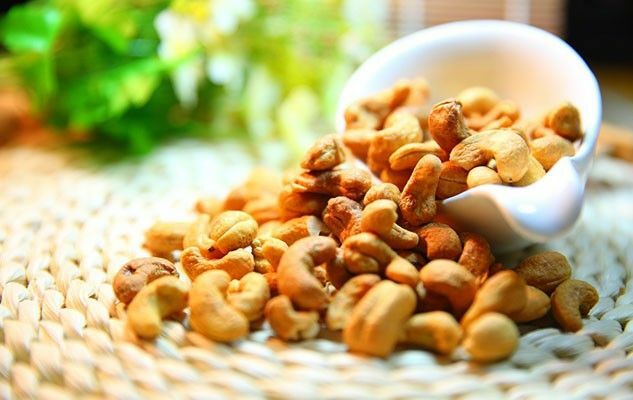 Since then, cashew has been a key ingredient in the cuisine of many countries. This nut has only been traded internationally for a hundred years, although Indians found an effective way of removing the corrosive oil found between the outer shell and the inner nut. Today, cashew ranks first in the production of oleaginous fruits, ahead of almonds. As with most nuts, almost three quarters of its total calories are from fats—especially monounsaturated—that are good for the health. It also contains a variety of vitamins and minerals. You should keep them in an airtight container in the refrigerator to prevent them from turning rancid. Originally published in the Journal de Montréal on November 30, 2013.